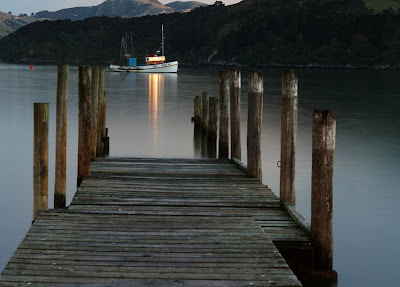 I have been in Akaroa for the CORE retreat for the last three days. It is an absolutely beautiful place. I got up early to have a go at some long exposures.